“The one I think I am...” is a single screen presentation of a confrontational twenty-minute video shot in Edinburgh’s railway station. 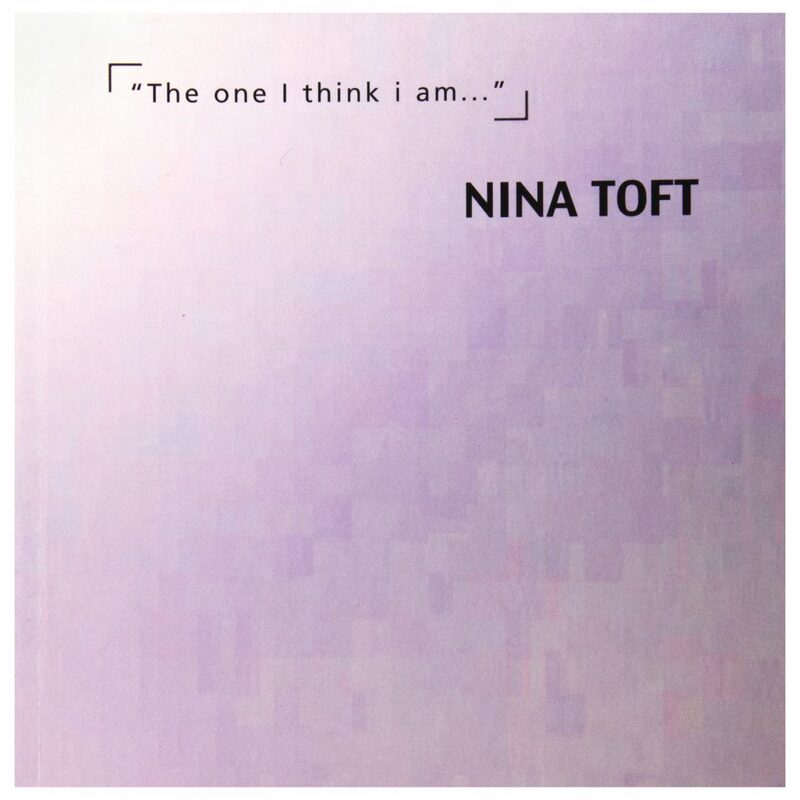 Nina Toft is an emerging Edinburgh artist who is originally from Norway and in this work she plays the role of a paparazzi, but her dogged pursuit is not of the rich and famous, but rather people waiting for the trains that will take them to work. Their dismay at being photographed in this version of “15 minutes of fame” is a register of the camera’s ability to be an invasive presence in contemporary society. 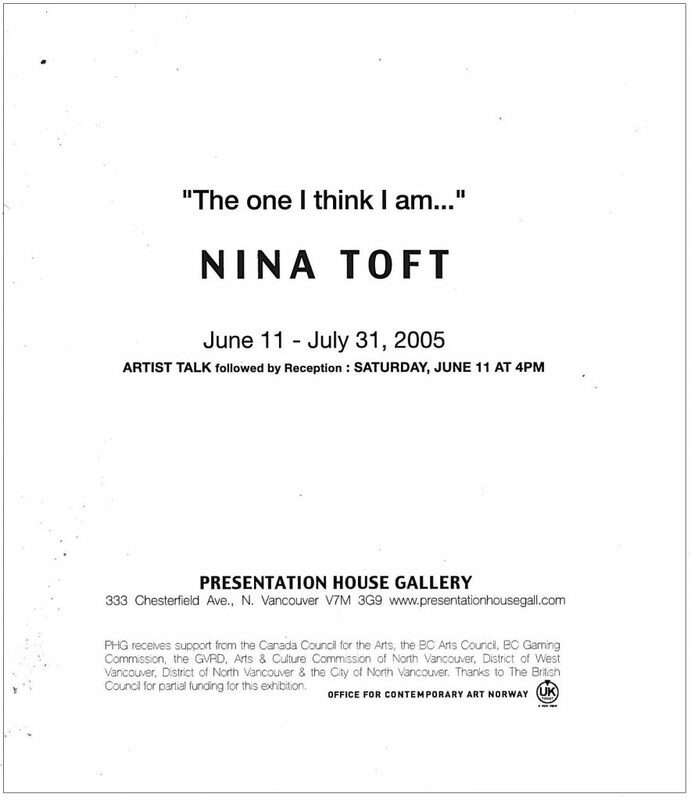 Conversely, her subject’s eventual acceptance of Toft’s invasion of their privacy registers our collective acquiescence to the pervasive presence of video cameras in the public domain, especially in the U.K..
Toft’s subjects are existential actors in the daily Beckettonian drama of getting out of bed and going to work. Their dilemma is our dilemma and their surprise at being the star of Toft’s art is not unlike our own when someone takes a moment to pay attention to us. Toft’s camera is invasive, but “The one I think I am...” is also an extremely gentle video that, in its gentleness, is a critique of the aggressive behaviour of both the paparazzi and documentarians alike. The surprising thing about this work is that its quiet elegance, combined with its apparent filling of a gap in the history of recent video practice, leaves one feeling that we have either been there or seen this before. Yet, so far as I know, no artist has previously made a work that probes the condition of the individual in the social world in just this way. However, similarities with the photographic work of Ian Wallace and video work of Roy Arden will not be lost on Vancouver viewers. The structure of “The one I think I am...” is partially determined by the behaviour of Toft’s subjects. The pursuit of her lens is relentless while the subject is unaware of her gaze, then, when they engage her lens, she gives them enough video rope to express their pleasure or disdain, but when they turn away one last time, she too turns to the next subject. 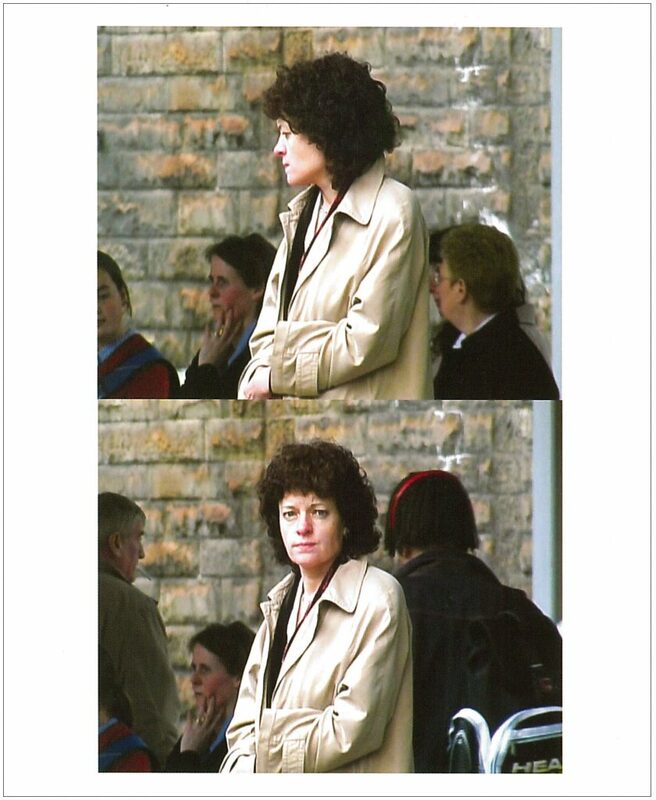 Not only do her subjects avert their gaze to avoid Toft’s camera, but the artist as well, having approached her prey, having seen what there was to see, then avoids them only in order to repeat the experiment with another “one who thinks they are”. Her approaches are met by a full range of psychological responses, from avoidance, to frustration and rage – a perfect mirror of the daily approaches and avoidance's that provide the basic rhythm of humanity’s shuffling through the world. Prsentation House Gallery published a Catalogue with text by Shane Danielsen, the Director of the Edinburgh International Film Festival, and Curator Bill Jeffries. 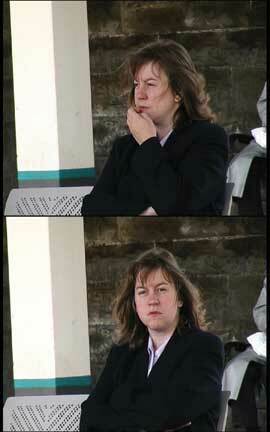 Nina Toft: "the One I Think I Am..."
A new video work by an emerging Edinburgh artist shows commuters at a rail station on their way to work; it captures the existential dilemma of working in the contemporary world in semi-confrontational portraits that mimic the work of the paparazzi. A work that is about many things, including the hidden beauty of our daily resignation to the working life. The work was shown in 2005 in conjunction with two other solo exhibitions, Martin Parr – Think of England and Nina Toft – “The one I think I am…”. The exhibitions were part of “UK Today: A New View”, a city-wide series of presentations of new art, theatre and music from the UK. Texts by Shane Danielsen, the Director of the Edinburgh International Film Festival, and curator Bill Jeffries.